Every woodworker knows that the best crafts come from quality milling and this is only achievable with the right tools. Jointers and planers a perfect doing this as they are fashioned specifically to produce fine, even woodwork edges and surfaces. But people tend to think they’re one and the same, hence the term jointer and planer. So imagine their confusion when they see two machines with separate names on sale! So, in this article, we’re going to stage jointer vs planer. Basic details about both machines may not be enough. This should quell the confusion and mix-up between these two woodwork machines. Wood craftsmen and avid DIYers would find this write up most helpful in deciding which they need for their projects. It helps to have all the necessary information before stepping into a hardware store. It also helps to know where to get the right information. This article will provide all the facts about jointers and planers, helping you decide which you would really need. Why ‘Jointer vs Planer’ Is a Debate? The major function of jointers and planers is to square out pieces of lumber, making them flat, smooth and even. But if you do not know the right tools to use for the right job, efficiency will be greatly hindered. This is very possible if one does not know what’s what between a jointer and a planer. In this article, you’re going to get the full download on the issue. You will get understand their individual uses and benefits. You will also get to analyze their limitations and potentials. Knowing all these will help you properly decide whether to choose the planer or jointer or even get both. As mentioned earlier, jointers and planners both share certain similarities. Both are used to make surfaces of lumber even and smooth. But both machines achieve this function in very different manners. This is also why their uses are also different and of course, come with unique advantages and disadvantages. Understanding these elements makes it easier to tell the difference between jointer and planner. A jointer is used to flatten the faces and edges of wood. It usually comes with an infeed table through which the wood piece is passed over cutting blades of steel. As the user pushes the piece, the blades cut the surface aligned with them and even them out. The wood piece is pushed out through the outfeed table. A guarding fence on the table allows leveling of the piece. The cutter head is usually cylindrical and has a series of blades lined on it. These set in such a way that they protrude out just enough to trim the wood as they spin. The cutter head spins really fast and in opposition to the direction of the feed. To acquire wood pieces with perfectly even faces, a jointer is employed. When done properly and with steady hands, a jointer produces wood pieces with impressive edges for furniture projects. They are also used to produce perfectly flat surfaces of lumber. Jointers are perfectly designed to produce flattened edges. This makes them he primary tool to use when bringing in rough lumber pieces for smoothening. They also come with an adjustable guarding fence which allows changing the angle of cut. Jointers are also great for straightening pieces of lumber. The adjustable guarding fences on jointers make them ideal for producing rebates in already finished timber. The machine can be adjusted to work on narrow edges, producing grooves for joints. They are also perfect for correcting wood twists and warps. Unfortunately, jointers cannot be used to make a board evenly thick. This limits their use for making flat surfaces and edges to just one side. Also, they cannot produce boards with two parallel faces. Also, one needs to take extra precaution when pushing the lumber through the infeed table. The blades of the jointer are very strong and sharp and can cause severe damage if contacted. Working on a distinct mechanical process, a planer is much smaller than a jointer. It usually consists of two ends with rollers to guide the wood piece in place. A cutter head is located at the top of the table. The wood is fed through one end and the surface facing the cutter head are planed as it passes. One roller pulls the wood piece past the cutter blade while the other pulls it out. The cutter head of the planer is similar to that of the jointer. The major difference is while jointer has its cutter working on the underside of the lumber, planer works on the topside. Also, the infeed rollers on the planer allows easier passing of lumber through the cutting edges of the cutter head. 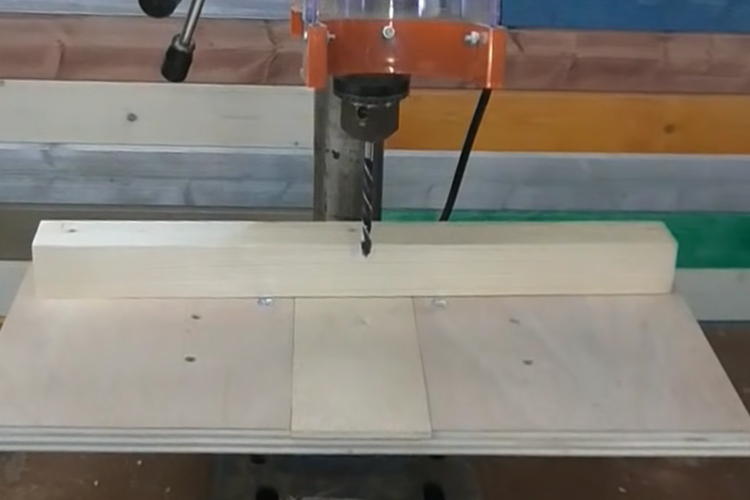 A planer is useful in achieving parallel surfaces on wood pieces. It can also be used to smooth surfaces in some cases. And unlike that of the jointer, the circular cutter of the planer can be adjusted. The distance between the cutter and the table determines the thickness of the board. This ensures even thickness on both sides of the board. The planer is perfect for creating parallel surfaces on wood as they can also be used on both sides. This also allows you to get two squared sides on the work piece. Also, the adjustable rotating cutter makes them best for deriving the desired dimension of thickness and avoiding tapered surfaces. Planers also work better on rougher wood surfaces, so long as the board is straight. Using planers to even out edges is not always advisable for boards with lumps or dips. Planers tend to duplicate these defects, reflecting them on the other side of the board and making them thinner. It also does not perform efficiently on boards that are not straight. Plus, achieving desired dimensions requires you to pass the board numerous times through the planer. This makes work somewhat tedious and time-consuming. Although the jointer and planer have a lot in common, there are situations where one proves better than the other. These two machines, though sharing almost the same basic working mechanisms are distinctly fashioned to efficiently perform certain tasks. Initially straightening out of rough timber surfaces. Development of even surfaces for joining with other wood pieces. Acquisition of consistent thickness across the board. Production of boards with less tapering. Production of boards with parallel sides. In woodwork, some factors might require you to employ the use of a jointer or planer. The wood surfaces with its imperfections, wood finish, flatness and twists. Also, wood measurements as well as the necessity of parallel might come in play. It helps to know what machine would do best in any of these situations. Sometimes, wood procured for projects may come with rough surfaces. In other cases, the boards may come with faults such as bumps and warps. Uneven edges may also be present on the board upon purchase. Using a jointer is the best option in such cases as they are primarily fashioned to tackle those issues. However, certain imperfections are not so imbedded, like scratches and dings. Still, they can create an imperfect wood grain surface. In such cases, a planer can be used to smooth the surface. When this is done, the surfaces tend to feel nicer when run over with the palm. The planer is also your most reasonable option of you’re on a budget but still want to create neat woodwork. This is because most lumber available for sale are already pre-milled. So, you may still be able to get lumber with manageably flat surfaces and straight lengths. Many times, boards may appear bent, warped or bowed along the length. In such cases, a jointer helps to flatten out the surface. They prove more efficient in these situations than planers as the latter would just follow the bowed length if used. Jointers also produce better results when used on boards with twists. Such boards are characterized with having two edges that twist towards opposite planes. They correct these defects, regardless of the extremity- though the level also determines how long it will take to correct. When planning a project, dimensioning is the first step. Different projects require different measurements of wood and in some cases, wood pieces might need to be joined. Jointers are ideal for such as they are primarily designed to produce edges flat enough for easy joining. However, when dealing with the thickness of the pieces to be used, planers are your best bet. They are primarily fitted to ensure you get balanced thickness on boards and wood pieces, as well as desired measurements. Getting the desired outcome in some projects requires you to consider whether or not parallel surfaces are necessary. Wooden surfaces that will not be exposed to view do not need such, compared to wooden shelves. So, if you are not making a project that is exposed on all sides, a jointer is alright for milling. But if the project requires parallel surfaces, a planer is the choice. An Answer to the ‘Planer or Jointer’ Debate: A Jointer Planer Combo? Now, many people still maintain there has to be a superior woodwork machine when you put planer vs jointer. And while both show distinct features that set them apart, the surprising thing is they’re much more efficient when combined. Since both devices offer functions the other do not possess, putting both into use actually maximize your productivity. Plus, you get better results than what would have been if you had used either or. Here are a few reasons why. Jointers allow you to initially prepare rough boards. Once that is done, it cuts down the workload for if you were to use just a planer. Jointers correct wood defects. This is cost-friendly, as most times, wood with such are usually sold at discount prices. Jointers are great for creating an even edge and flat surface. This ensures easy joining with another board for creation of larger pieces. Now, planers on the other hand, ensure that the flattened board is planed to the precisely required thickness. Not to mention uniformity of the dimension as it produces parallel surfaces. This completes the initial task uncompleted by the jointer. It also helps to know that planers excel in this function. When the choice is jointer vs planer, many might consider it a difficult one. The truth is that it isn’t one. Both are amazing woodwork tools that will make a valuable contribution in the workshop. Both are also time-saving and efficient in their various tasks. And when combined, they can boost efficiency of work and improve the final outcome. If budget is the main issue, then it is advised to buy one of these first. Try considering what factor is most required of your work and go for the tool that satisfies that need. But keep in mind that having both in hand might be to your greatest advantage. When combined, these two tools can be the very key to your creation of exceptional woodwork masterpieces every time you put on your overalls. 9 How to Use a Tig Welder for Advanced Metalworking Projects? 10 How to Measure Bandsaw Blade for Any Cut Type and Material?